In music, silence communicates as powerfully as notes played. In painting, emptiness communicates as powerfully as strokes on the page. In ikebana, space between elements communicates as powerfully as the flowers and twigs. 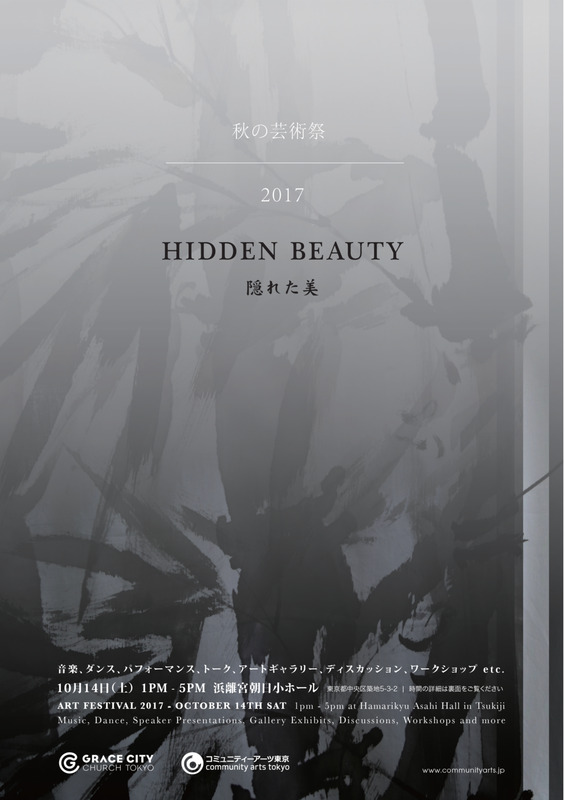 Japanese traditional arts are full of beauty hidden in the empty and silent. Hidden beauty in silence speaks of hidden beauty in the gospel. How else can we call a man dying on a tree, bearing the full weight of the silence of God as beautiful? Sugar and coloring alone are used in the creation of unique Japanese candies made by the Tokyo shop ZOTO. The name ZOTO (象東), which means “In the East, to give shape to things hidden and unseen,” comes from the verb 象る (かたどる). An alternate kanji spelling 形取る, literally means “to take shape.” What concepts and emotions take shape in these little candies, and what do they teach us about ourselves and the world we live in? Our world is full of pain and suffering, and yet, there is a kind of unexpected “hidden” beauty that can only be born out of suffering. Why is black gospel so popular in Japan? Is this Western expression of freedom and joy in the gospel the whole story? Or, could it be that gospel music contains hidden layers of beauty and meaning, which naturally speak to people in modern Japanese society? The music of the koto expresses grace amidst harsh realities in this world. Sadness and heaviness in the koto reveal a redemptive path of healing, which can only come through suffering and loss. In Shusaku Endo’s book “Silence,” a Christian is tied to a stake in the ocean to die slowly through exhaustion and drowning. Is God silent or is he with us? In the end, hidden beauty rests in the truth that Christ took our place in sin and death.